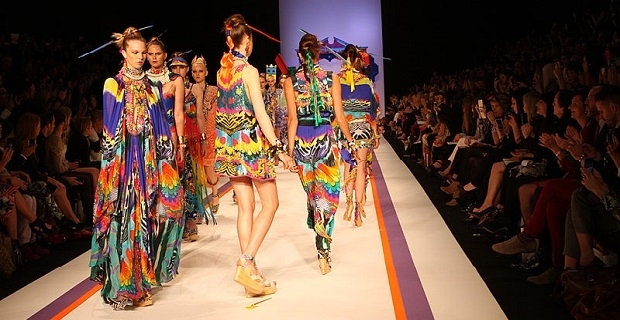 Along with Paris, New York City and Milan, London Fashion Week is considered one of the top four most influential and highest profile fashion events. Each year there are two events. The British Fashion Council (BFC) has announced the fashion weeks dates for 2014, although the full schedule won't be known until December. The spring/summer fashion weeks dates for the 2014 season haven’t been announced but as with the 2013 event, it should take place during September. This year’s event showcased collections by Anya Hindmarch, Stella McCartney and Tata-Naka amongst others. Pink was the colour of the week as designers like Emilia Wickstead Burberry, Preen, Temperley and J. JS Lee made a point of using the palest pinks within their collections. Flat shoes made an appearance with Roksanda and J.W. Anderson just two notable names helping make flat shoes in again, while the difficult weather that visitors faced meant that they were on the feet of most show goers. An unintentional mother/daughter theme took over the week when Kate Moss took her daughter Lila, and Lisa Moorish was accompanied by her daughter Molly Gallagher. Other notable attendees included Harry Styles who made a splash with a collection of t-shirts, one of which had a leopard-heart print. Floral was a big theme during September, which is always the case with spring/summer. Markus Lupfer and Christopher Kane were the main proponents this time, proving that things don’t change that much in the fashion world. Kane’s mirrored catwalk, Burberry's runway filled with rose petal and Erdem’s concrete surface proved that London’s all about the catwalk. The London Fashion Council has announced the autumn/winter fashion weeks dates for 2014 are Friday 14th February to Tuesday 18th February 2014. 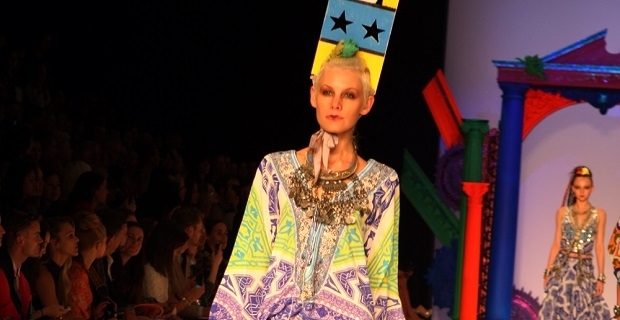 The event will take place in Somerset House in central London and will showcase over 150 designers. The full show schedule will be announced at the end of the year.